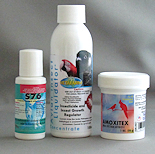 Everything you need to treat air sac mites and more! When purchased with the air sac mite kit of your choice. 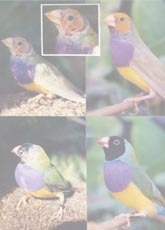 A bird's respiratory system is composed of a set of lungs and 9 air-sacs. These 9 air-sacs allow for the high metabolic rate found in birds. These 9 air sacs have very thin walls with few blood vessels. Since the respiratory system helps maintain their body temperature, when it is infested with air- sac mites, birds become fluffed-up. A fluffed-up bird is trying to conserve body heat. It takes a lot of energy for a bird to maintain its high and constant body temperature, energy a sick bird doesn't have. This is why supplemental heat is so important. When you witness this behavior, place the bird in a small cage (hospital cage) with supplemental heating such as an Infrared Heat Lamp place near a perch. 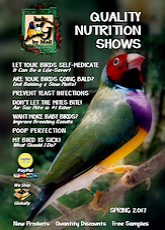 Once inside the bird's respiratory system the mite causes inflammation, hemorrhaging and lesions, leading to pneumonia and ultimately death if not treated. The air sac mites attach themselves by embedding their legs into connective tissue. A mucus coat secreted by the bird's immune system covers over most of the mites. Mites in the trachea plus the mucus reduce the internal volume of the trachea, affecting the ability of the birds to breathe. As the mite infestation grows, the trachea narrows even further and the bird will begin breathing with an open beak in an attempt to bring more air into the lungs. The harder it becomes for the bird to breathe the more body movement you will notice. This explains why "tail bobbing" is often stated as a symptom of the mite infestation. On the second day of treatment with S76 or SCATT the birds should be given Amoxitex (antibiotic) for two days to help with secondary lung infections. The air-sac mite has also been found in water, on perches and in food. 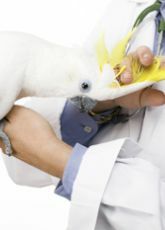 For this reason on the second day of treatment with the S76 or SCATT, the nests, cage and aviary must be cleaned and disinfected with Avian Insect Liquidator otherwise they will re infect the bird.